Lillian Murphy is, by education, an engineer/project manager. She was experimenting with different mediums of art expression via ceramics, Chinese brush painting and visual arts. 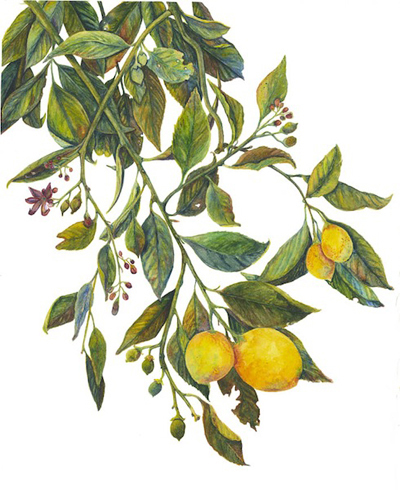 In 2010, at Strybing Arboretum, San Francisco she triggered a connection to strengthen and develop the right side of her brain through botanical illustration. She continues her education at the Mary L. Harden School of Botanical Illustration and received her masters certification in April 2013. As a botanical enthusiast and artist, she thrives on the challenge each leaf, branch, flower and fruit reveals its intricate details. The life cycle and beauty of the plants, whether healthy or dying, are exquisite to paint and observe. It acts as a daily reminder and how best to take advantage of life whether it is in full bloom or in a dormant stage. 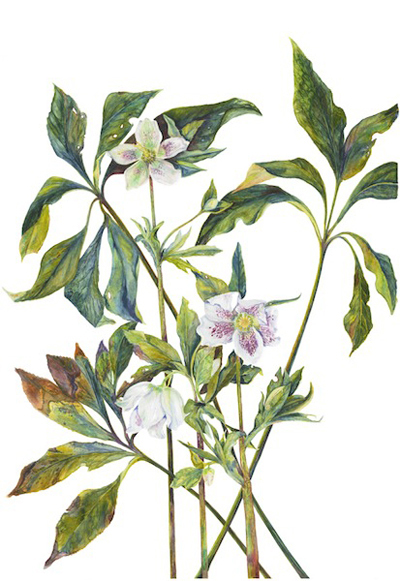 Each painting presents itself with hurdles of composition, tone and narrative of the plant itself. Lillian has participated in the April 2012 Beautiful Botanicals, Bolinas Gallery, November 2012 Just One Tree Project, Meyer Lemon Watercolor Exhibit and Fundraiser, Feb-May 2013 Medicinal Plants, UCSF Faculty Alumni House, Macy’s 2013 Flower Fest The Painterly Garden, Botanicals from the AIDS Memorial Grove, Union Square, and upcoming Watercolor Exhibit of Native Plants from the Jack London State Park, Glen Ellen.